There is a large selection of vehicles to rent: automobiles, jeeps or rural vehicles, limousines with or without air conditioning, automatic or gear transmission. The vehicles for rent are usually new and are well kept. 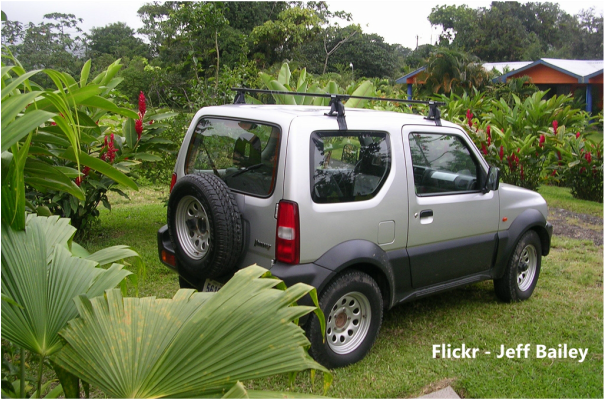 All of the most visited travel destinations in Costa Rica are reached by normal car on paved or compacted gravel roads. If you are planning to drive to a particular point, be sure to find out if a jeep or rural vehicle is needed. In order to rent a vehicle in Costa Rica you will need: An international credit card (Visa, Master Card, American Express, Dinners Club) with an available credit of at least US$700 to US$1000 as guarantee.